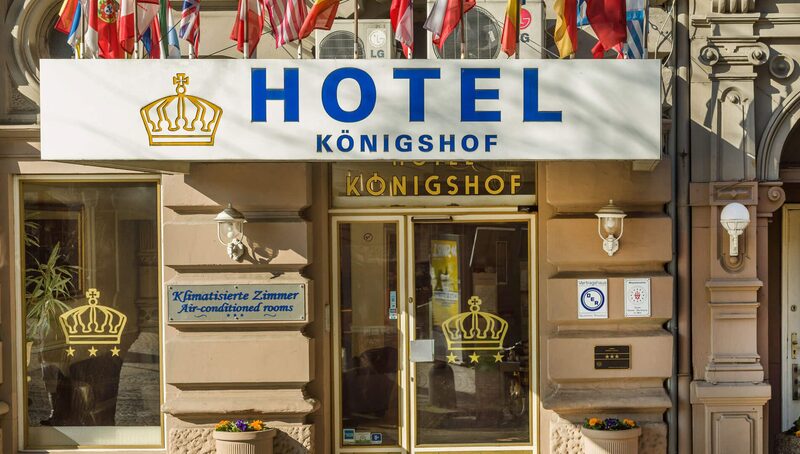 Welcome to Hotel Königshof in Mainz! Our city hotel offers an excellent location in close proximity to the central bus- and train-station. You can easily reach us by car as well as public transportation. In our air-conditioned and soundproof rooms you can forget the hustle and bustle of the city and enjoy a recreative stay. We offer the utmost comfort with a 24-hour reception service, a rich continental breakfast buffet, and upscale room furnishing with large windows, satellite TV, free Wi-Fi and a desk. Many restaurants and bars are within walking distance. Enjoy relaxing days in our hotel! Our definition of success is to be kept in good memory. We are looking forward to welcome you to our hotel. Welcome to Mainz, the metropolis on the Rhine, close to Frankfurt/Main’s international trade fair venue and financial center. 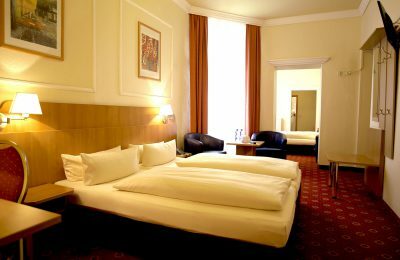 Thanks to our close proximity to the main station, you will find the hotel a central residence for your stay in Mainz. 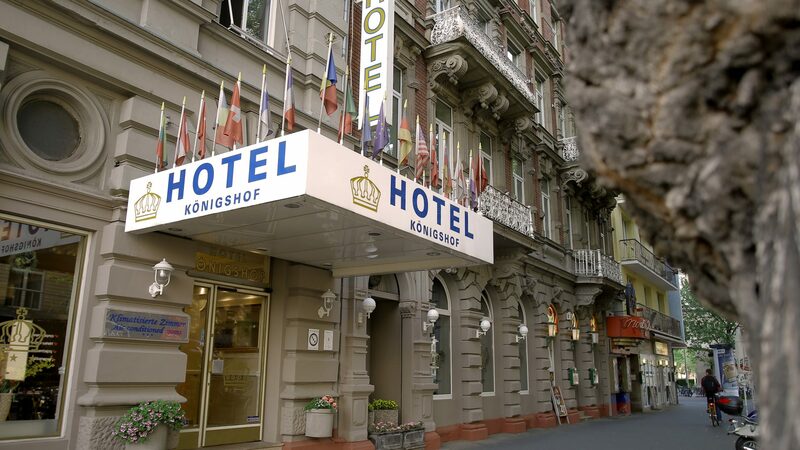 Accompany us through Hotel Königshof!